Primesat 1.0m prime focus satellite dish. 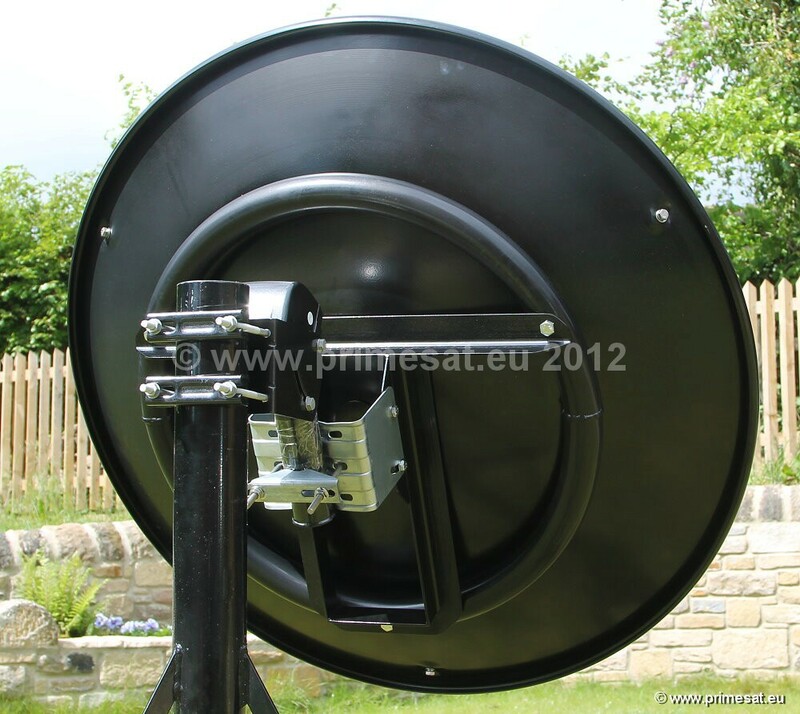 Spun aluminium prime focus dish with feedhorn and LNB. 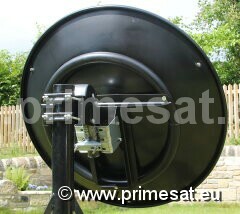 Primesat Elite P10MOT 1.0m prime focus dish. The dish includes the intelligent LED Diseqc "Dark Motor". Also included is a prime focus feedhorn and LNB. At last a prime focus dish that looks upwards and purposeful. Looks fantastic. This is not a mass produced, pressed steel (or thin pressed aluminium) dish. 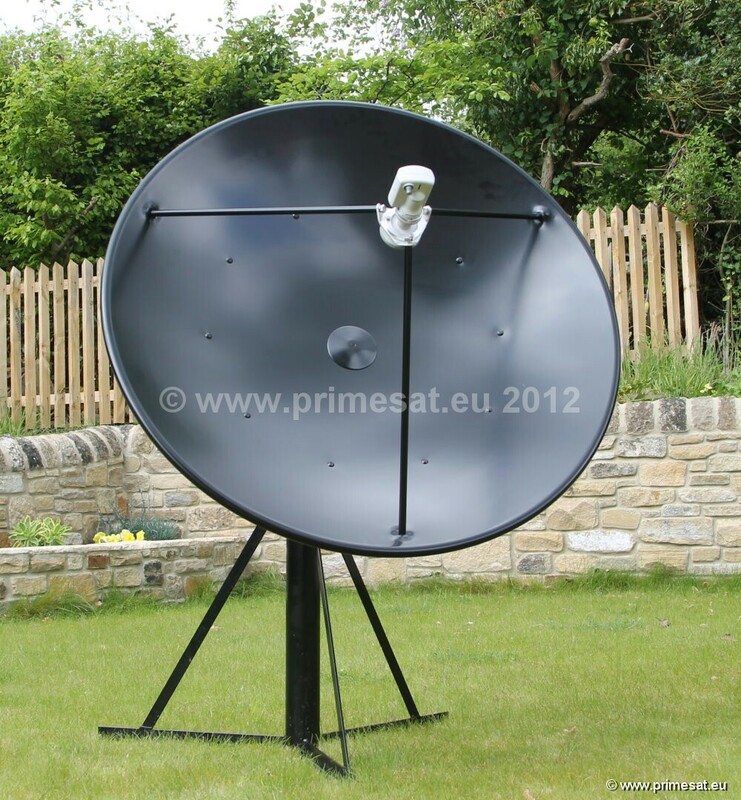 This is a high quality, high gain, heavy gauge, spun aluminium precision engineered dish. The nuts and bolts that hold the dish, arms and back plate are stainless steel. Usable diameter 100cm. Maximum diameter including rolled edge 103cm.